After surveying 500 teachers within the United States, PBS highlights the rising role of technology in today’s educational experience. 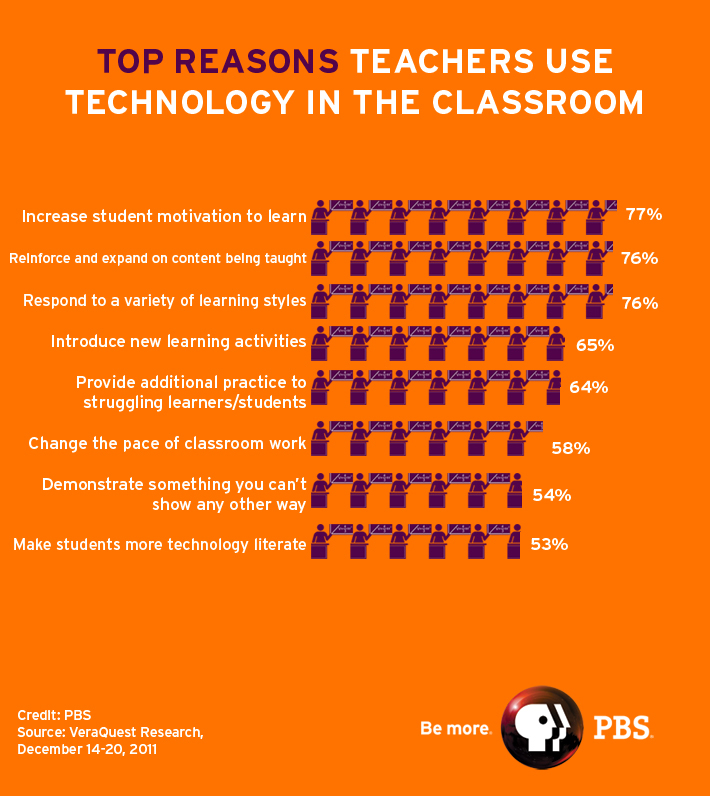 The image below lists the top reasons teachers use technology in the classroom. 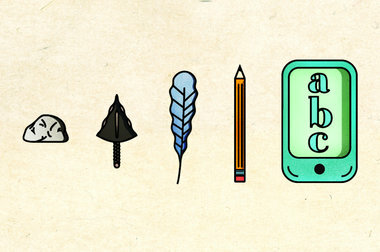 The Classroom of 2019: will technology become even more prevalent? Check out this article from the Huffington Post! The president of Bethany College, Dr. Scott D. Miller, talks about the trends he sees taking over in higher education by giving us a look at what we can expect the classroom of 2019 to look like. He suspects that technology will become even more integral to higher education, what do you think? Smart Technologies created this video: A quick look at how advancements in technology have impacted teaching and learning over time. Check it out! Many college students have grown tired of the routine class atmosphere, with the professor standing at the front of the class lecturing to a room full of students. With this teaching style, students not only grow tired, but they become distracted. A majority of students will bring laptops, iPads and cell phones to class, and because their professors teach in the same manner, these students can lose interest quickly. Studies have found that if a professor takes advantage of modern technology and incorporates it into their teachings, students will become more engaged in the material and will ultimately perform better. Taken from Washington and Lee University. Technology not only enhances a student’s learning experience, but it makes learning and sharing material much easier for students across a university. By using an array of technology in classrooms, professors will have more engaged students who are excited to learn. Technology also enables students to learn through materials shared by their peers, making them more prepared when class time comes and making help more accessible when class is over.